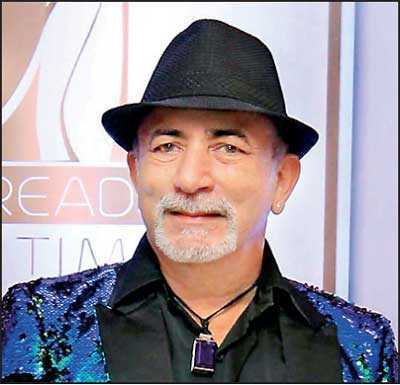 Master stylist and hair wizard Gerald Solomons owner of Colombo’s most elite salon Chagall spoke of the upcoming trends for the year 2019. In Gerald’s opinion, though following a trend is important and obviously most people want to keep up with all that is current, he emphasises the fact that no matter how trendy or in vogue a look may be, it has to suit you! Gerald gives us his very own take on the trends for 2019 and what he thinks will suit Sri Lankans best! Be they short or long, hair up or hair down, guys or gals, Gerald has the look for everyone. According to Gerald, hair trends for 2019 are definitely veering towards short rather than long, “however it’s feminine short as opposed to boyish short”, emphasises Gerald. “Short bobs, waves, curls, with a lot of bounce are very much in fashion while the perennial bob has definitely made a comeback and we can expect to see a whole range of bobs in varying lengths being sported this year.” As for colour, Gerald says that chocolate brown and all it’s varying hues are very much the ‘in’ shade for 2019, and of course the eternal favourite blonde! “However the grey blonde is now a bit boring and tends to age people prematurely,” he says. With regards to long hair being worn down, Gerald says scrunch drying, with luxurious waves and braids will be very much in fashion so keep those curling tongs handy! Clothes will be very glittery with bare shoulders and hems of varying lengths being the trend. “Body hugging silhouettes as well as loose and flowing outlines – the ethnic look will continue to be in fashion, while my personal preference for a woman has always been dresses and skirts as opposed to pants.” Gerald also says that tie and dye is making a comeback and this is good for Sri Lanka vis a vis garment exports. Where men are concerned, Gerald says the 20’s and 40’s look is very much in vogue with partings cut into the hair. “A modern version of the James Dean look is very trendy while hats too will make their mark this year. The overall trend for men is more glittery than for women, but I personally favour the classic look. However when it comes to my own personal style, it’s bling all the way. Fun and glitzy and quirky is my personal fashion look,” says this style icon, while Chagall will continue to be the salon of the elite for 2019 as well!